We designed ACC's logo as a hand but also a wheel in motion, symbolizing both the mobile aspect of their service and the personal attention they deliver. 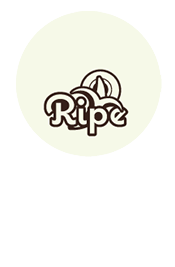 A strong tagline also helps get the message across. 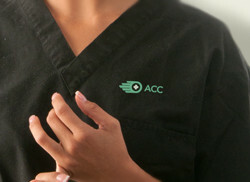 ACC Health specialize in mobile dental and medical care, with a strong focus on "compassion" in all they do. 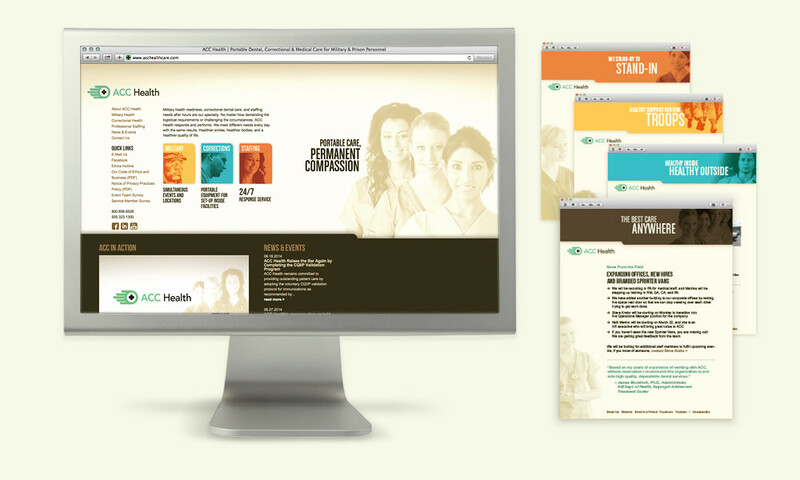 To stand out from competitors we helped them identify and leverage this unique and authentic advantage through branding. 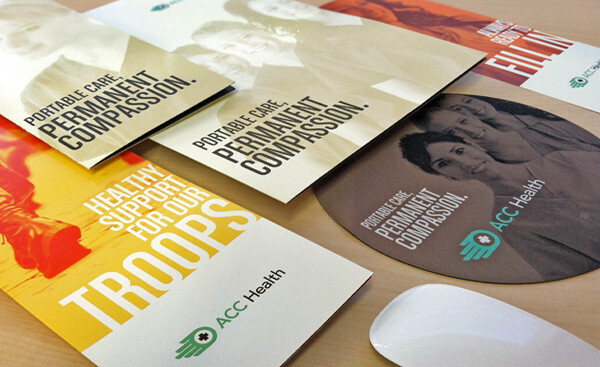 Moving away from industry-standard, aggressive imagery of open-mouthed patients gagging on dental instruments, prisoners behind bars, and soldiers in active combat, we took a more compassion-centered approach and created a branding system that highlights the positive impact good health has on ACC's different audiences. The system is developed much like product line packaging with color coding and audience specific imagery and messaging. 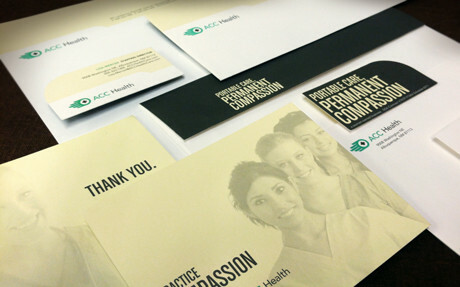 ACC's branding system is fully integrated into all print, web, tradeshow graphics, signage, videos, and even vehicle wraps. 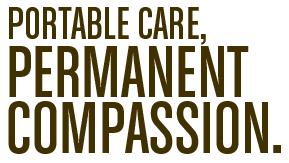 More importantly, "compassion" is at the forefront of every employee's mind.